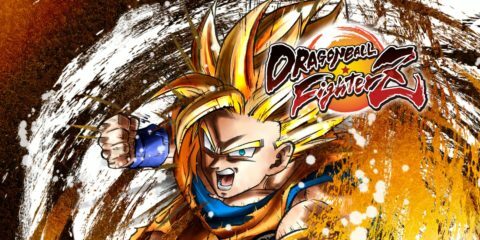 After seven sagas, four last chance qualifiers and a gruelling finals bracket, the first year of the Dragon Ball FighterZ World Tour is finally over. Ryota ‘Kazunoko’ Inoue, winner of four sagas and tournament favourite, defeated Dogura, GO1 and Fenritti twice to take the crown. Even when faced with a bracket reset against Fenritti in Grand Finals – his first set lost at the World Tour in four tournaments – Kazunoko remained unfazed. Bringing brutal offensive pressure with his trio of Gotenks/Adult Gohan/Yamcha, the Japanese fighting game veteran steamrollered his way to the top, cementing his place as No.1 in DBFZ for the first competitive season. Coming into the weekend, four competitors had already secured their places: two from Japan, and two from the United States. Over the four last chance qualifiers on the first day the Japanese players asserted their dominance. Dogura, Kindevu, BNBBN and Fenritti all fought their way through qualifiers to claim a place in the top 8, and this was to spell doom for the two American competitors. Eduardo ‘HookGangGod’ Deno was the first to fall, going 0-2 in the final bracket to Dogura in winners and Fenritti in losers. What was harder to watch for the American fans, however, was crowd favourite Dominique ‘SonicFox’ McLean also falling early in the bracket. Whilst expectations of a SonicFox win were on the table, considering his success against Kazunoko at the end of last year, it was a relatively new face who would steal the spotlight. BNBBN came out of nowhere on the first day to enter Grand Finals in the 2nd LCQ, beating ApologyMan and Fenritti on the way, only to lose to Kindevu in the final. Unfazed, BNBBN entered the 3rd LCQ and won, with a second win over Fenritti and victories over ACQUA and Nakkiel on his way to securing a spot in the final bracket. Seeded to fight SonicFox in winners round 1, BNBBN surpassed all expectations, defeating him 3-2 in a nail-biting opening set. His combination of Kid Buu/Bardock/Goku shook the EVO champion, and a couple of mistakes from SonicFox in the 5th game were punished severely by the Japanese upstart. BNBBN would go on to make 5th, losing to Fenritti and GO1. This was the same placing as SonicFox, though his losses of BNBBN and Dogura were a lot more surprising for the man who came to the tournament to cement his throne. 5th and 7th was the final placing of the two Americans at the World Tour Finals, then, leaving the top 4 spots to be secured by the Japanese. LCQ winners made up two of the top four spots, with Kazunoko dropping a set to one of them in the process. All the explosiveness, variety and suspense of the last seven sagas was magnified under the spotlight of the Finals stage. And Kazunoko finally put to bed claims against him, securing the trophy and the title of best DBFZ player in the world. For now, at least. The first season of DBFZ was phenomenal. Who knows what the second season will bring.